Genetics Center's genetic counselors can provide you with a personalized cancer genetic risk assessment. Appropriate genetic testing can be conducted through our in-house CAP accredited, CLIA certified, and Children’s Oncology Group (COG) approved laboratory. Counseling gives you the opportunity to discuss your family history and have a genetic counselor review and assess your hereditary cancer risks. From there, genetic counselors can help you decide if genetic testing is the best option for you and your family. Individuals who know they are at a high risk of cancer then have the option of early detection through increased screening or intervention to reduce their risk. Together, counseling and testing can provide a better understanding of cancer risks and guide appropriate management for patients. Genetic cancer counseling and assessment is beneficial for anyone with a personal or family history of cancer. All cancers are genetic and are sometimes inherited from family members. High-risk families include the following characteristics: multiple relatives with cancer, early onset (before age 50), and more than one type of cancer in the same person. 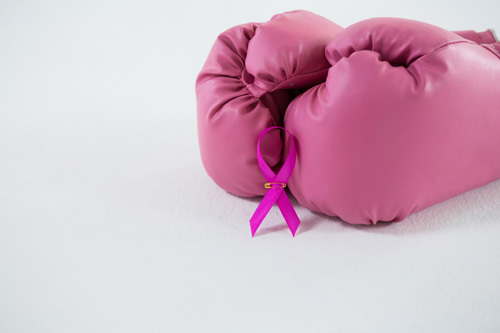 Breast, ovarian, and colon cancers can also be linked with hereditary cancer syndromes. If you or your family has any of these risk factors, genetic counseling should be considered. Tremendous strides have been made in the early detection and management of various types of cancer in recent years. Genetics Center’s CLIA certified, CAP accredited, and Children’s Oncology Group (COG) approved laboratories offer services to assist and treat patients with cancer. Our team of medical geneticists, scientists, and genetic counselors provide unparalleled assistance every step of the way. Most insurance companies will cover all or some of the costs involved with our genetic services. Each insurance plan is different since coverage is ultimately dependent on your medical history and specific plan. Our reimbursement specialists are able to verify insurance coverage, help review the costs and benefits of genetic testing, and help you decide what is right for you. Cancer is believed to affect more than one-third of the U.S. population and accounts for an estimated twenty percent of all deaths in this country. Over the last few years, tremendous strides have been made in the early detection and treatment of various types of cancer. Conventional cytogenetic technology, fluorescence in situ hybridization (FISH), flow cytometry, and emerging molecular genetic techniques have played an important role in determining prognosis and appropriate management of some cancers. Cytogenetic analysis of the cancer specimen involves far more than simply reporting the karyotype. The primary service to the referring physician is the detailed interpretation of chromosomal abnormalities and/or findings in the molecular laboratory in such a manner that facilitates decision-making in regard to diagnosis, prognosis, choice of treatment, and evaluation of the effects of therapy. The genetics laboratory and the cytogeneticist have thus become vital members of the team in the management of the care for the cancer patient. Genetics Center has been recognized as a Children’s Oncology Group (COG) approved laboratory, which ensures superb quality. We offer a state of the art laboratory and genetic counseling services to assist you in the care and treatment of your patients with cancer. Testing is performed by Next Generation Sequencing and Deletion/Duplication Analysis. Certain results may be verified by other molecular methods. Our molecular genetic tumor tests typically have a turn-around of less than 10 days. Blood: A single tube with 1-5 mL whole blood in EDTA (lavender top). Saliva: Please contact us for collection kit. Cytogenetics – Karyotyping only: metaphase analysis of chromosome abnormalities for detection of chromosomal gains and/or losses, translocations, and inversions that are specific to hematopoietic malignancies. Chromosome analysis on solid tumors is available as well. Cytogenetics with Reflex to Fluorescence in situ Hybridization (FISH): metaphase analysis of chromosome abnormalities for detection of chromosomal gains and/or losses, translocations, and inversions that are specific to hematopoietic malignancies. Further reflex to FISH for chromosome locus specific study as indicated. Chromosome & FISH analysis on solid tumors is available as well. Colorectal Cancer Mutation Screening: examines select exons of KRAS (exons 1 and 2) and BRAF (exons 11 and 15) for known pathogenic activating mutations by gene sequencing in tumor tissue. Molecular testing for both BRAF and KRAS mutations is recommended for all colorectal cancer patients to ensure the best treatment strategies, and to determine if patients are likely to respond to anti-EGFR therapies. BRAF and/or KRAS Mutation Analysis for other common tumors (eg. pancreatic, endometrial, gastric, thyroid, and many others is also available upon request). For information regarding our comprehensive cancer panel Click Here. And please do not hesitate to Contact Us for additional information.